This feastday celebrates the three Archangels who acted as messengers between God and Man. Saint Michael the Archangel has been described in the Scriptures as "one of the chief princes", and as leader of the forces of Heaven against the powers of hell. It was Saint Michael who appeared to the children at Garabandal to prepare them for the visit of Our Lady. 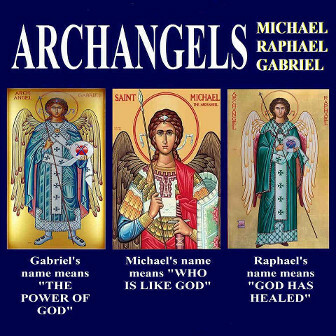 The Archangel Gabriel it was who appeared to Mary to announce that God wished her to be the Mother of His only-begotten Son, Jesus, and also it was Gabriel whio appeared to Zechariah to inform him of the fortcoming birth of John the Baptist.